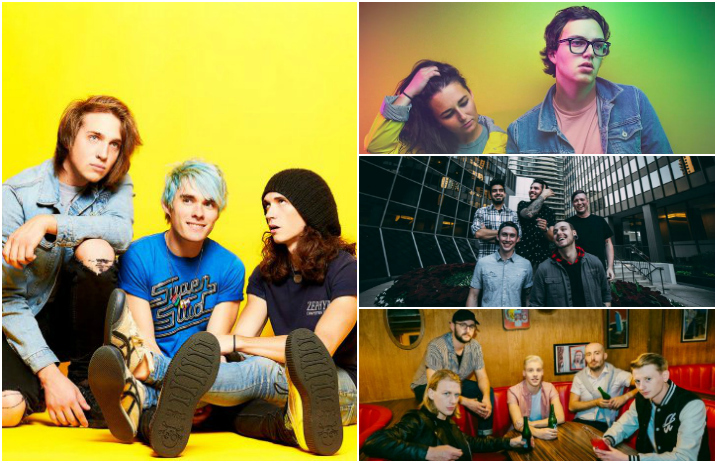 In one of the biggest pop-punk tour announcements of the fall, Waterparks have announced their headlining Monster Energy Outbreak Tour Presents: Made In America, with the ever-lovely As It Is, Chapel and Sleep On It added as support. Sound epic? We think so, too. Check out the full list of cities and dates below! Excitingly enough, this is Waterparks’ biggest tour to date, and after winning Best Breakthrough Artist at the 2017 APMAs, we can’t wait to see them hit the stage this fall as part of the Monster Energy Outbreak Tour. General tickets go on sale Friday, Aug. 4 at 10 a.m. local time here. The band released their debut full-length, Double Dare, last November. Where will you be catching Waterparks on tour this winter? Let us know in the comments below!